The market is holding its gains on Friday on hope that there could be consideration of some measures to stem rupee’s fall in the forthcoming economy policy review by Prime Minister. 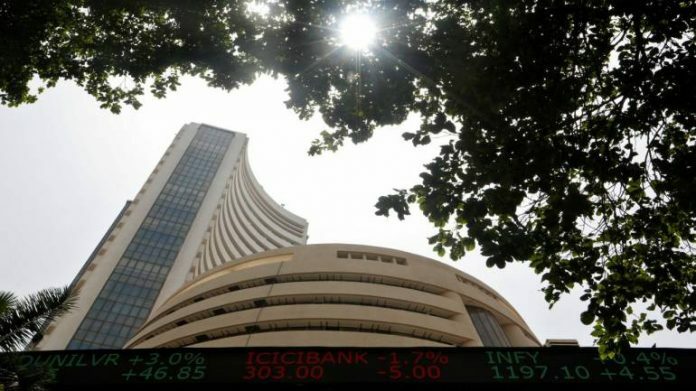 The Sensex, so far, has gained more than 400 points since Wednesday while the rupee has also recovered from its all-time low of 72.91 to 71.82 against the US dollar. Global brokerage house Morgan Stanley, in its latest report, has scaled up Sensex target for September 2019 to 42,000-mark on earnings improvement going ahead. Ratnesh Kumar of BOB Capital Markets also feels there is definitely pick up in earnings growth going ahead. “We expect 18-20 percent earnings growth for FY19 and Q1 numbers already indicated positive sentiment that earnings recovery is on cards and subsequently we expect 15-18 percent growth for FY20,” Ratnesh Kumar, MD & CEO, BOB Capital Markets said in an interview to CNBC-TV18. But after recent rally, valuations are so high that re-rating is less of a possibility now, he feels. With next 12-15 months perspective, he believes the market can be higher by 16-17 percent from now if earnings growth happens on expected lines. The Sensex rallied 11 percent and Nifty gained 8 percent year-to-date on top of around 28 percent upside seen in 2017. Rising crude oil prices and sharp depreciation caused recent damage in the market and also hit trade deficit of the country. Report suggested that Prime Minister Narendra Modi will hold meeting for economy review on Saturday. “We see especially some activity on currency front. As crude oil and current account deficit are in problem, the market would look for confirmation on economy recovery, growth numbers are better now and how sustainable these growth numbers going ahead,” Ratnesh Kumar said. The Nifty IT index rallied 38 percent year-to-date on good earnings growth in Q1FY19, positive management commentary and rupee depreciation. So one should look at companies where valuation is less of concern and fundamentals are returning higher, he advised. “One example related to above logic is corporate banks. Oil marketing companies and gas companies also fall in to that category now. Midcap IT companies where again there is better growth and less of valuation concerns,” he said.